Old Masters at the Top of Their Game – NYTimes.com. The woman above? 99. 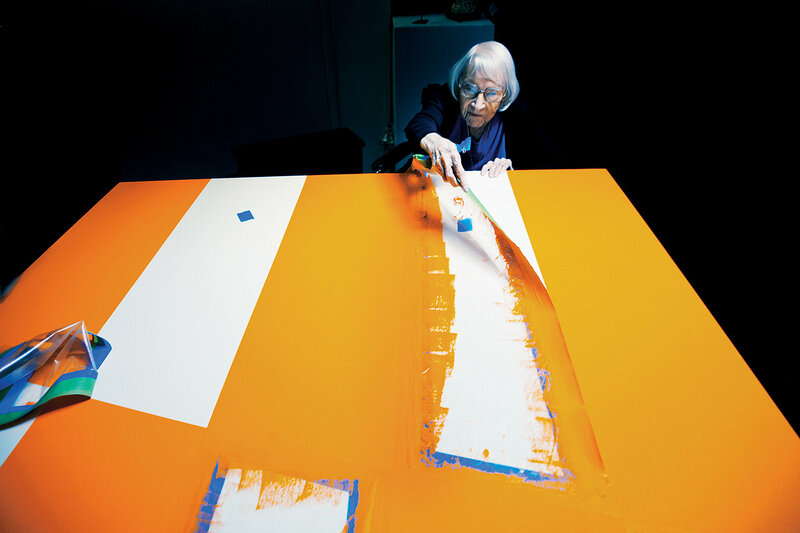 She sold her first painting at 89. She is now a world renowned artist. And there’s more great profiles of people in it. You should read it, and not just if you are older. I recommend it for any age. How you read it at 20 will be different than how you read it at 40 or 60. For me, I was struck by how many of those interviewed say that nothing surprises them. As I get older, I find this true too, though I am still surprised. The flip side of this is that anxiety and concern about many things in life decreases. You know how to handle things, and you spend less time worrying about the things you ought not to worry about. Another thing I thought interesting is that they don’t necessarily think of themselves as old. This is something I also found true as I age. I know when I talk to the 20 year olds in my office they must look at me and think: man, he’s old. 🙂 But other than superficial things, I don’t find my thinking or my view on the world has diminished from when I was younger. I have more experience now, and I had more natural energy then, but I don’t think: wow I no longer get this IT stuff now that I am older. I highly encourage you to read the article. Then check out Austin Kleon’s blog because I found it there a lot with many other good things. This entry was posted in advice and tagged advice, age, aging, gerontology, life, living, nytimes. Bookmark the permalink.